There would not have been a SNCC without Ella Baker. While serving as Executive Secretary for the Southern Christian Leadership Conference (SCLC), she organized the founding conference of SNCC, held at Shaw University in Raleigh, North Carolina during the Easter weekend of 1960. She had immediately recognized the potential of the students involved in the sit-in movement and wanted to bring leaders of the Movement together to meet one another and to consider future work. Miss Baker, as the students usually called her, persuaded Martin Luther King to put up the $800 needed to hold the conference. Rev. King hoped they would become an SCLC student wing. Ella Baker, however, encouraged the students to think about forming their own organization. Addressing the conference, Rev. King asked the students to commit to nonviolence as a way of life, but for most in attendance, nonviolence was simply an effective tactic. Speaking to the conference Ella Baker told the students that their struggle was “much bigger than a hamburger or even a giant-sized coke.” In presenting this bigger picture and encouraging them to form their own organization, Ella Baker displayed a talent she had been employing for more than two decades: assisting people to empower themselves. The students decided to form their own organization: SNCC. And with the formation of SNCC, she encouraged the new organization to organize from the bottom up. Because of her work as NAACP Director of Branches in the 1940s, Baker had a network that she was able to put at the new organization’s disposal. For example, in the summer of 1960 she sent Bob Moses to meet local NAACP leader Amzie Moore in Cleveland, Mississippi, and out of this meeting emerged SNCC’s first voter registration project. Her belief was always that organizing people meant that they could lead themselves. After all, who else was better qualified to articulate their needs? She often said, “strong people don’t need strong leaders;” but facilitating this required extensive travel, conversation, and meetings. Baker was well-known for her indefatigable spirit. Born in Norfolk, Virginia and raised in Littleton, North Carolina, she was known by those around her as “a whirlwind.” Her tireless pursuit of change echoed the stories that Baker told about her maternal grandmother. Born a slave in Halifax County, North Carolina, “Bet” Ross refused to marry the man her master had chosen and was punished for her insubordination with hard labor plowing fallow fields. Despite the work, she nevertheless attended every celebration on the plantation, dancing until the early hours of the morning to show that her spirit remained unbowed. That was the energy that young SNCC organizers, some nearly four decades her junior, saw in Miss Baker. 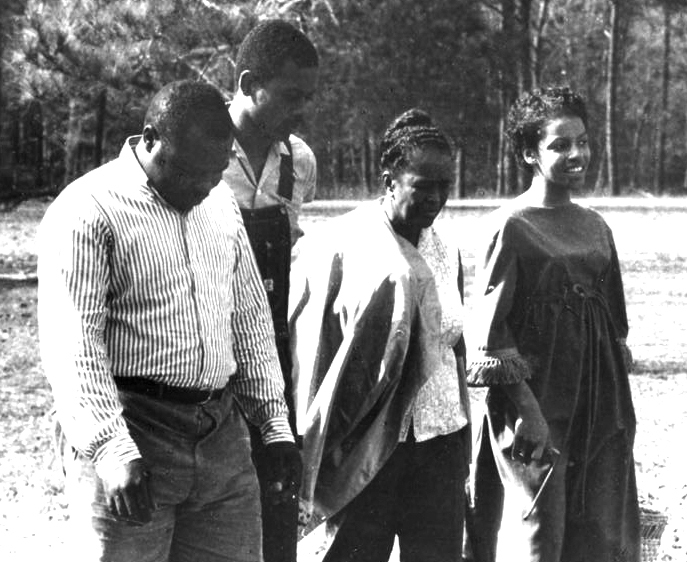 And Baker recognized that “the young people were the hope of any movement…They were the people who kept the spirit going.” As she knew, “the average Baptist minister didn’t really know organization.” But Ella Baker did and the students, sensing her abilities, listened to her ushering in a new era in grassroots organizing. Joanne Grant, Ella Baker: Freedom Bound (New York: Wiley, 1998). Todd Moye, Ella Baker: Community Organizer of the Civil Rights Movement (Lanham, MD: Rowman & Littlefield Publishers, Inc., 2013). Barbara Ransby, Ella Baker and the Black Freedom Movement: A Radical Democratic Vision (Chapel Hill: University of North Carolina Press, 2003). Muriel Tillinghast, Tape 1, SNCC 40th Anniversary Conference, Shaw University, 2000, SNCC 40th Anniversary Tapes, Duke University Libraries. “Southern Women in Action” Southern Patriot, May 1961.